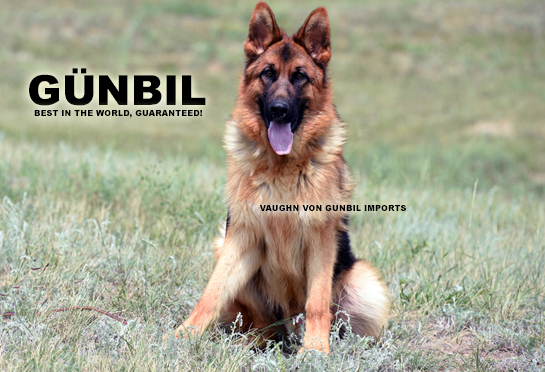 five year guarantee: We're so confident in our World Class Gunbil German shepherds breeding program that we can offer you a "WORRY FREE" FIVE YEAR genetic health and temperament guarantee! 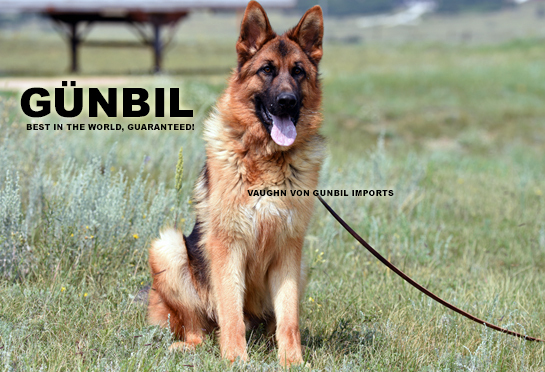 In the event that the guarantee is honored, Gunbil German Shepherds will provide another dog of the same quality, age, gender (of choice) and value. We do not ask that you return the original dog to us. Our five year guarantee is for your peace of mind, our commitment to you and your new puppy/dog. For more info, please click here. Buying an older puppy or a young adult trained German shepherd (for sale) can be risky and could end with disastrous results. The person or breeder that is selling the dog must have first hand knowledge of the characteristic behavior profile, family values and overall history profile, including health and TEMPERAMENT. 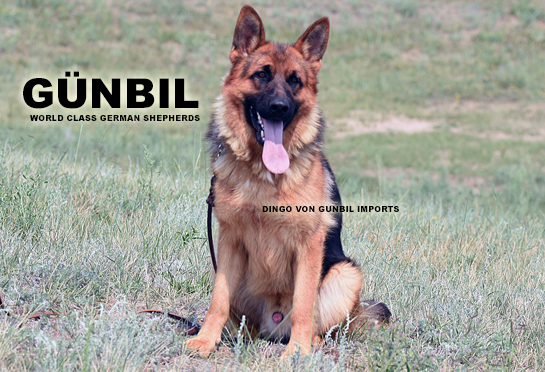 The German shepherd import or domestic bred males for sale listing below come from our kennels (in Germany or Colorado - Günbil Bred), we are the breeder and have the ownership of these magnificent dogs from the age of puppy-hood! In most cases we have also bred their parents as well. 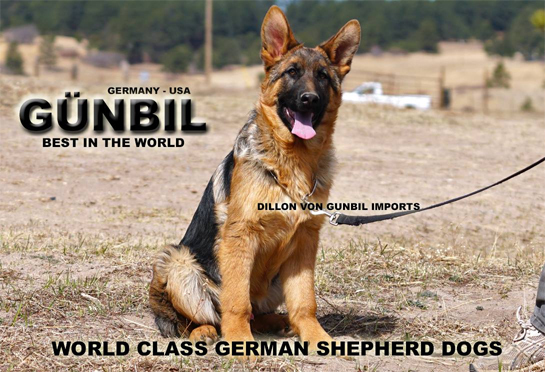 We are proud of our dogs and our description profile of each dog come from first-hand knowledge of owning and raising our puppies into "SUPER" SHOW class, family FIRST, Günbil German Shepherd Trademark. We have over 450,000 (450K) likes & followers on facebook! With an "A" rating, over "600 reviews & Recomendations" on Facebook with 4.6 score! 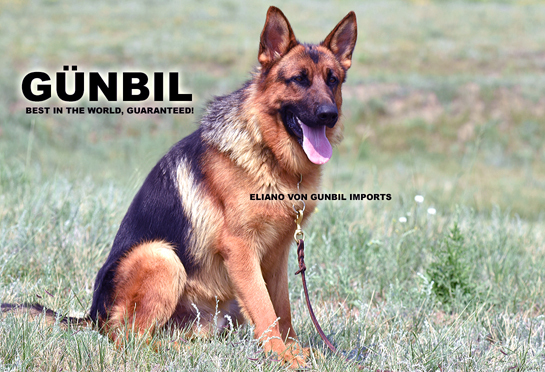 Eliano, is an ideal family dog with a superior natural ability to protect his family. Very confident self assured character, correct type, macho stud like head and bone mass! Black and Red rich pigment. Absolutely "Clear in the Head", stable nerves, safe nature, Excellent with children and in home environment. Great natural ability to protect his family! 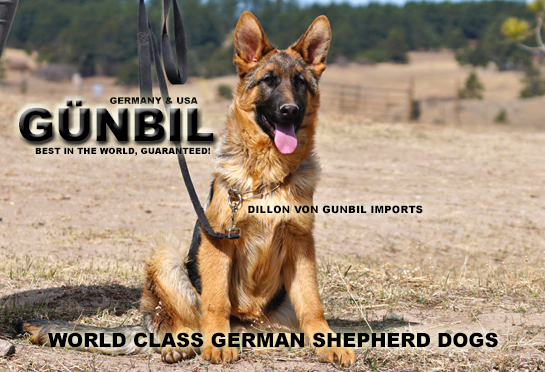 Excellent dog for breeding and show as well! Eliano is the grandson son of Three times world champion VA1 Omen vom Radhaus and the G-Grandfather of Twice World champion VA1 Remo vom Fichtenschlag. Your puppy comes with a five year old guarantee, Fully Obedience, Potty & Crate Trained. Socialized and Imprinted in a Family-Home Environment with Children and Other Dogs. 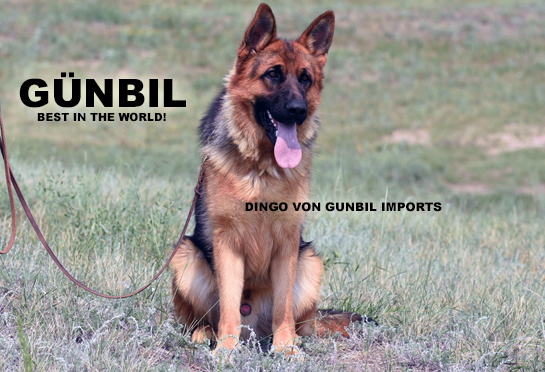 Dingo, will make a wonderful "family dog". Nicely pigmented (red) with a full black saddle, strong and stud type, MEGA head, a brave dog that loves his family. He is an ideal dog for a family with children. Fully obedience trained, socialized in a home within a family environment, happy and confident character, healthy genetics, with excellent overall type. A very low maintenance and happy dog, fully obedience trained in family and home environment, house (potty) trained, crate trained. Excellent temperament!. Absolutely clear in the head, sound and stable nerves, safe in nature. Very healthy and world-class champion pedigree from both parents! 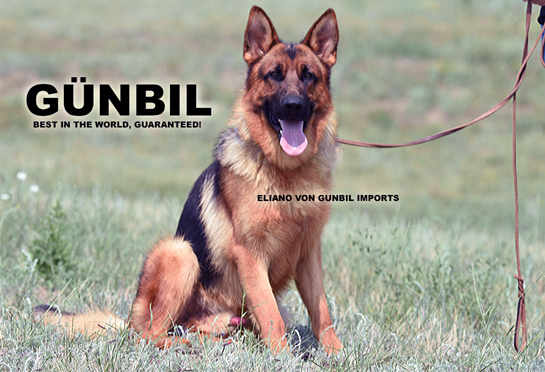 Your puppy comes with a five year guarantee, for Genetic health and temperament! Fully Obedience, Potty & Crate Trained. Socialized and Imprinted in a Family-Home Environment with Children and Other Dogs. Vaughn, will make a wonderful "family protection dog". Nicely pigmented (red) with a full black saddle, masculine, strong, courageous dog that loves his family. 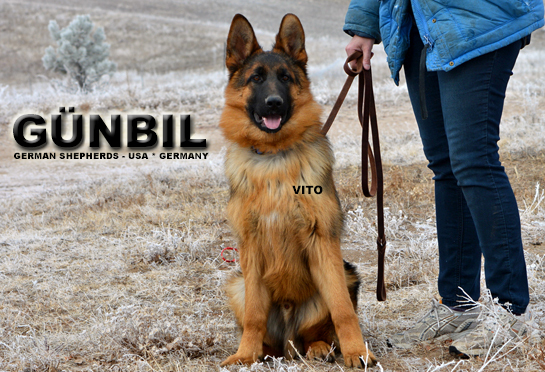 He is an ideal dog for natural family protection. 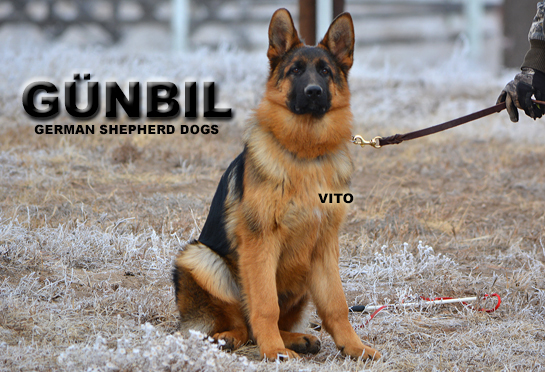 Fully obedience trained, healthy genetics, with excellent over-all type. Low maintenance, happy dog fully obedience trained in family and house envirenment, house trained. Excellent temperament!. Absolutely clear in the head, sound and stable nerves, safe in nature. Very healthy pedigree! Dillon, is perfect for a family and would do "excellent" in a family/home environment. Anatomically correct, outstanding color (black and red), beautiful pronounced mask, magnificent powerful head! A masculine, strong, courageous dog that loves his family. Happy with a gentle character, ready to play ready to please attitude. Excellent healthy genetics and pedigree profile. Dillon, an Ideal dog for family, naturally will protect family/owner if needed. Fully obedience trained in family and house envirenment, house trained. Absolutely clear in the head, sound and stable nerves, safe in nature. Very healthy pedigree! Vito, the grandson of twice World Champion (REMO) and the granson three times World Champion (VEGAS) and also the Grandson twice World Champion (ZAMP). A very confident self assured character, very BIG and strong with correct type, macho stud like head and bone mass! Black and Red rich pigment. Absolutely "Clear in the Head", stable nerves, safe nature. Excellent with children and in home environment. Friendly to other dogs and animals. Very healthy pedigree with excellent health value! He's intelligent, loves to please, should do well in any endeavor.